Saw a great post by my friend RickTelberg at CPA Trendlines titled, “Why CPE Will Never Be The Same Again” where he outlines the major changes taking place in CPE and discusses the latest research by his firm and an interview with a global training leader, Jon Andrews of PricewaterhouseCoopers. He then cites research which supports our own research on high-performing CPA firms which says that there is a correlation between the investment in training and firm profitability, retention, and recruitment. It is no secret that the investment in training your people is one of the best you can make. 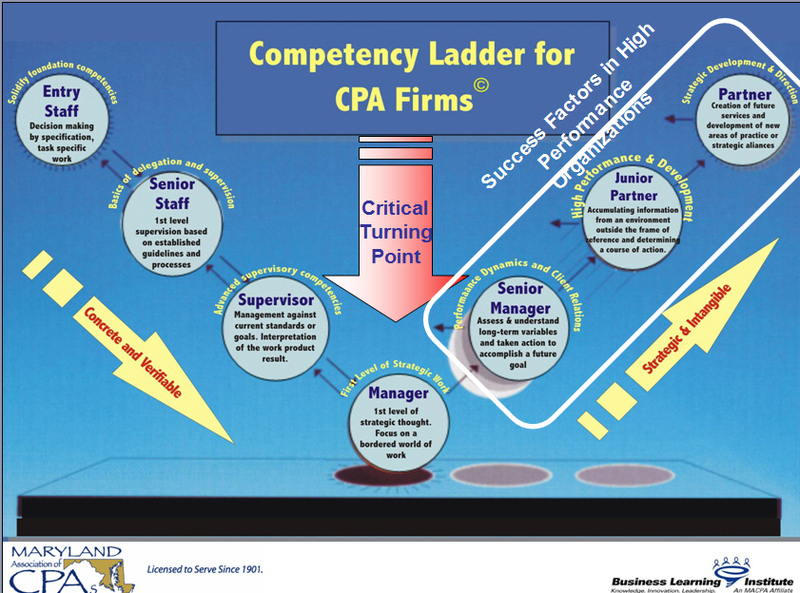 Pictured above is our CPA firm competency-model that we use to help our CPA firms develop learning and development plans and curriculum. I love this saying by Ron Baker who says, many partners ask what happens if I train our people and they leave? To which Ron says, what happens if you DON'T train them and they stay. What do you think – is training a good investment or not?